Have you been injured in a car accident and now suffer daily neck or back pain? If so, you’re not alone because thousands of people suffer these types of injuries following car accidents. 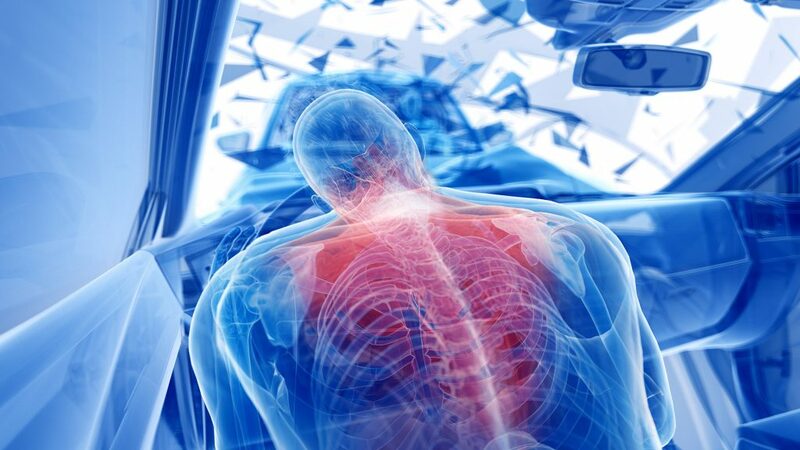 Some car accident victims face a lifetime of back and neck pain with little or no relief from medical treatment. If you’re currently living with a neck or back injury following a car accident, you may have a valid legal claim to collect compensation for losses such as medical bills, lost wages, and pain and suffering. The neck and back are especially susceptible to injury in a car accident. As a car slams into something, or something hits your car, the inertia of the opposing force causes everything in the car to move in the direction of the location of impact. But there’s only so much room to move in a car, and eventually, the car door, seatbelt, dashboard, or some other object in the vehicle is going to stop that forward momentum. This force often generates tremendous pressure on the neck and back; the jerking motion, referred to as “whiplash,” is the most common injury suffered in car accidents There are many other injuries, however, that can be suffered in a car accident besides whiplash, and soft tissue injuries are also quite common. Strains involve stretching and/or tearing of a muscle or tendon. Tendons are similar to ligaments, but they connect bones to muscles. Ligaments are tough, fibrous bands of soft tissue that connect two bones to form a joint. Strains usually occur in the lower neck, back, or hamstring. The symptoms of a strain are swelling, pain, muscle spasms, and limited mobility of the area that is injured. Sprains are injury to the ligaments from over-extension of a joint. Typical symptoms of a sprain include pain and swelling, muscle spasms and weakness, nerve damage, and cramping. You may experience a spinal cord injury following a car accident; the spinal cord is the bundle of nerves housed within the spinal column (known as the backbone). The spinal cord carries messages between the brain and body; injury to the spinal cord or the spinal column may result in full or partial loss of motor control and sensation. Spinal cord injuries may leave victims paralyzed in the lower parts of the body (paraplegic) or in all four limbs (quadriplegic). Because the spinal cord is responsible for a range of bodily functions like breathing, bladder, and sexual function, and spinal cord injury victims may suffer a broad range of serious and long-term health problems. With the serious physical challenges that come with a spinal cord injury, victims often suffer emotional and psychological problems as well. Many people never fully recover from spinal cord injuries resulting from a car accident, and their mental health suffers greatly, also. Spinal stenosis—A common condition that occurs when the small spinal canal, which contains the nerve roots and spinal cord, becomes compressed. It’s commonly referred to as a “pinching” of nerve or nerve roots and causes pain, cramping, weakness, or numbness. Disc herniation— Sometimes called a “slipped” or “ruptured” disk, this condition most often occurs in the lower back, but it can occur in the smaller disks in the neck. Degenerative spinal disorders—These injuries manifest as a gradual loss of normal structure and function of the spine over time. While the natural process of aging is the most common cause of degenerative problems, these disorders can also be caused by ruptured or herniated discs from car accidents. Facet injuries—Damage to the spine’s facet joints is the most frequent back injury, especially after a motor vehicle accident. Facet joints are small joints located between and behind the vertebrae of the back. These joints provide stability to the spinal column and are necessary for movement. Most facet joint injuries occur in the neck (cervical) or lower back (lumbar) areas. The sudden trauma of a car accident can cause the joints to be damaged or extended beyond the regular range of motion. If you or a loved one has suffered a back or neck injury due to a car accident, you should find a personal injury attorney in your area and schedule a no-cost consultation.